Undeniably, Liverpool’s progression in recent memory has stunted due to our best players leaving. 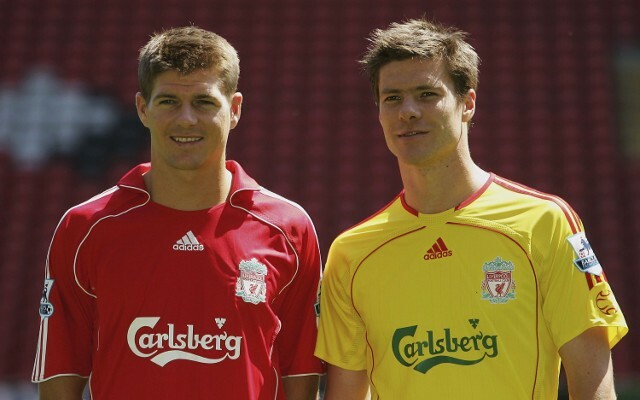 In 2009, Xabi Alonso pined for a move to Real Madrid. He brought Alvaro Arbeloa with him. Not long after, Javier Mascherano followed him to Spain. In January 2011, Fernando Torres was sold to Chelsea for £50m. He flopped, but who knows what would’ve happened if he stayed. Liverpool slowly rebuilt, and under Brendan Rodgers – had a team in 2013/14 capable of challenging. We came to within inches of the title but sold the world’s best striker Luis Suarez in 2014, before offloading Steven Gerrard in 2015 and selling Raheem Sterling for £49m. In that time, FIVE of those players have gone on to win the Champions League. We’ve won a League Cup. Jurgen Klopp though is determined to change this and for Liverpool to become the destination for top players rather than a stepping stone onto better things. “Yes, I think we can do this. It’s one of the targets for the coming years,” he told the Echo. “There hasn’t been a successful team in world football who change their squad every year. You need to need your key players. That’s a very important thing. “You have to create a situation where you are successful. A situation where everyone feels in a good way and we are strong enough and patient enough to keep them together. “We say that same squad and consistency creates success. “I spoke before this transfer window about not needing to change a lot,” Klopp added. “We actually didn’t change too much but we have seven new players here. So in fact we changed a lot! Both statements are true. “We’ve kept all of our key players and gave a few of our big talents the opportunity to play somewhere else because of the education they had at Liverpool. “We want to be a club in the future for sure whose players don’t want to leave. That’s very important. Yet again – Klopp’s saying all the right things. He’s got his own squad to work with now, and we can’t wait to see what this season has to offer. Without European football, better luck with injuries and a tightly knit bunch – we think we can really do something special domestically in 2016/17.